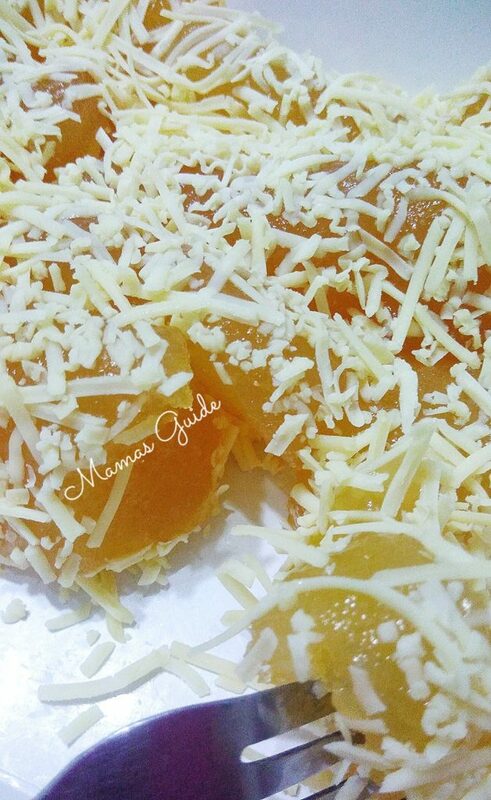 Cheesy Pichi Pichi is my all time favorite kakanin! Some of the best version I love is Don Benito and Ambers. I just can’t stop munching their Cheesy Pichi pichi. Yes I know you’re dying to cook this kakanin one day. But before you go ahead let me give you some tips about Lihiya or Lye Water. Lihiya in tagalog and Lye water in english is a liquid solution that you add to make your pichi pichi slightly elastic. Without lye water or lihiya solution your pichi pichi will be different. Lye water can be bought in local market or palengke because these lihiya solution are manufactured by chinese merchants. Or you can purchase online for cash on delivery. So if you really want an authentic Pichi pichi you really need to go to the nearest local market, talipapa, bayan or palengkeng bayan to buy this Lihiya water. Some of you might also ask if you need to squeezed out the juice from grated cassava, the answer is yes. You need to squeezed out some of its juice (pigain ng konti ang dagta). Combine grated cassava, sugar, water and pandan essence. Add lye water (lihiya) while mixing. After 40 minutes, do a toothpick test to check if its really cooked in the center. It should come out clean. Remove from the steamer and let the temperature cool down. Once cooled, remove from the molds and roll over the grated cheese.